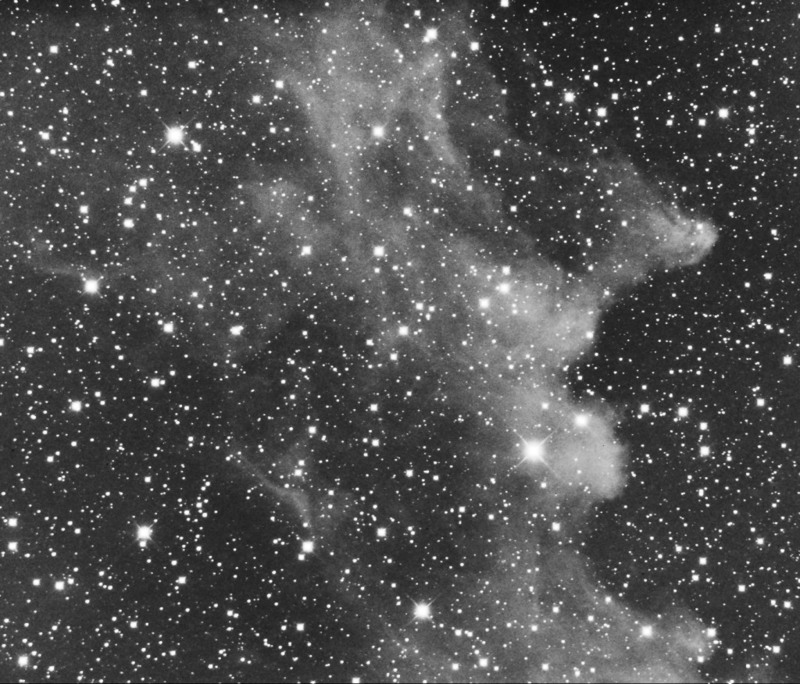 This is part of IC2118, the witch-head nebula. This relfection nebula is very faint. Each 5 minute exposure barely shows the nebula. South is up.